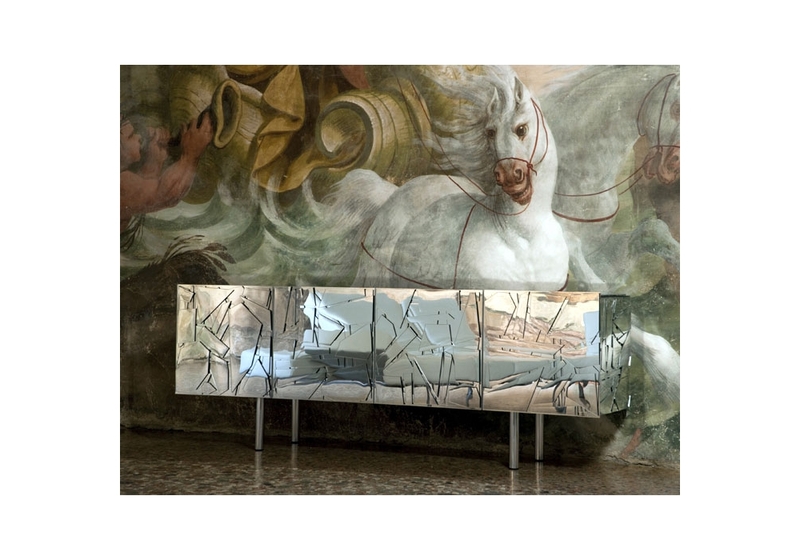 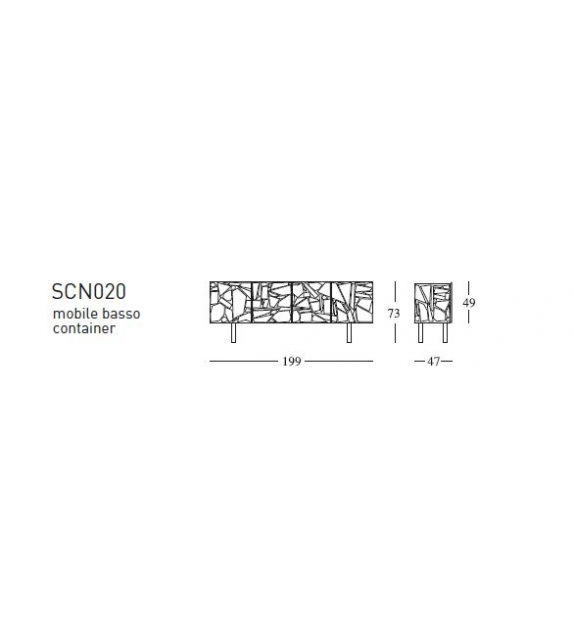 Edra, Scrigno unit: The range includes a stand-alone storage unit with doors that open out like wings, a “settimino” or seven-drawer dresser, a low storage unit and a chest of drawers, made out of particleboard covered completed with brilliant laser-cut shards of acrylic (Colorflex) available in a range of different colours. 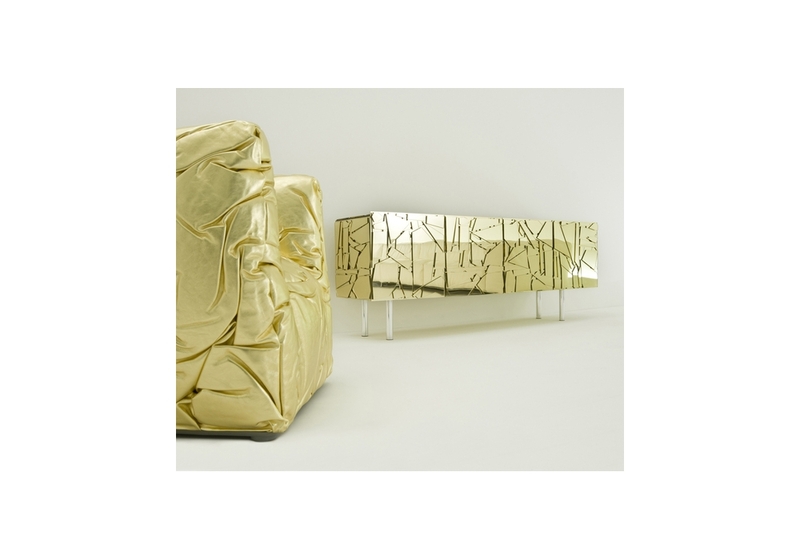 Edra, Scrigno unit: The range includes a stand-alone storage unit with doors that open out like wings, a “settimino” or seven-drawer dresser, a low storage unit and a chest of drawers, made out of particleboard covered completed with brilliant laser-cut shards of acrylic (Colorflex) available in a range of different colours. 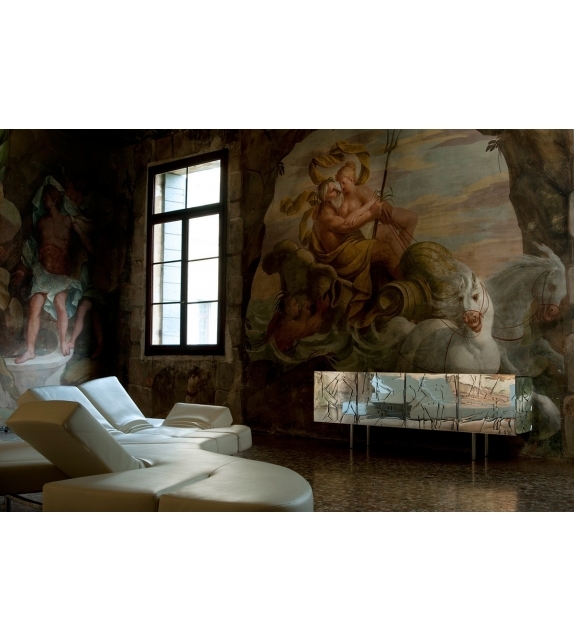 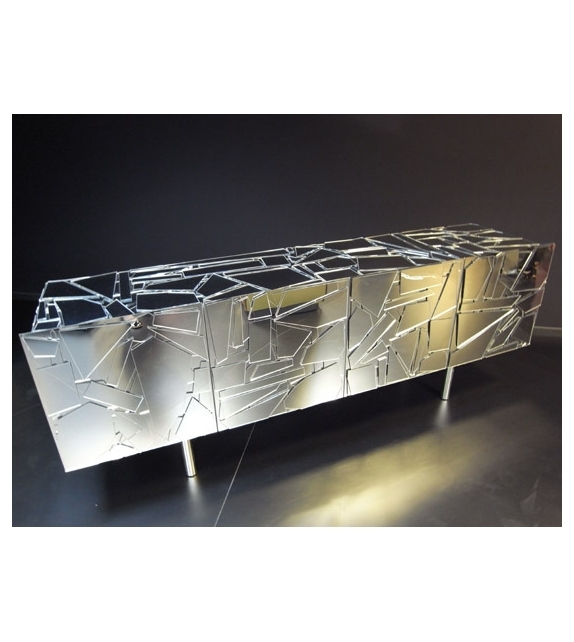 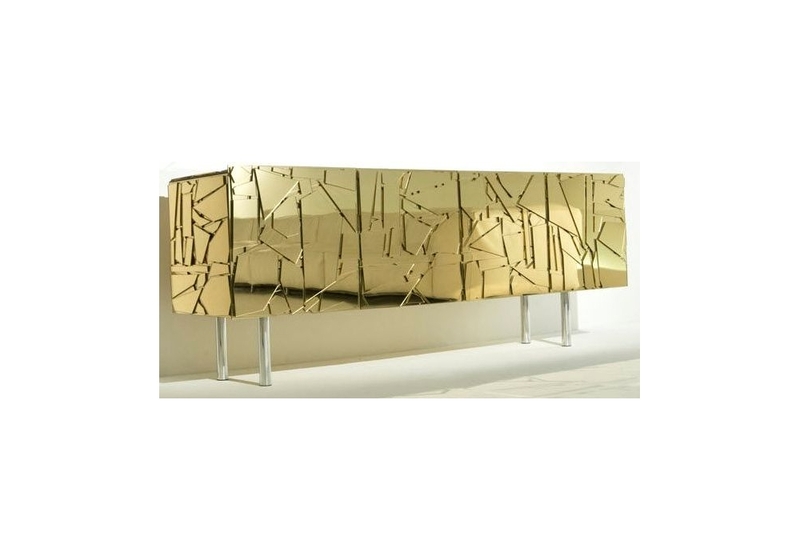 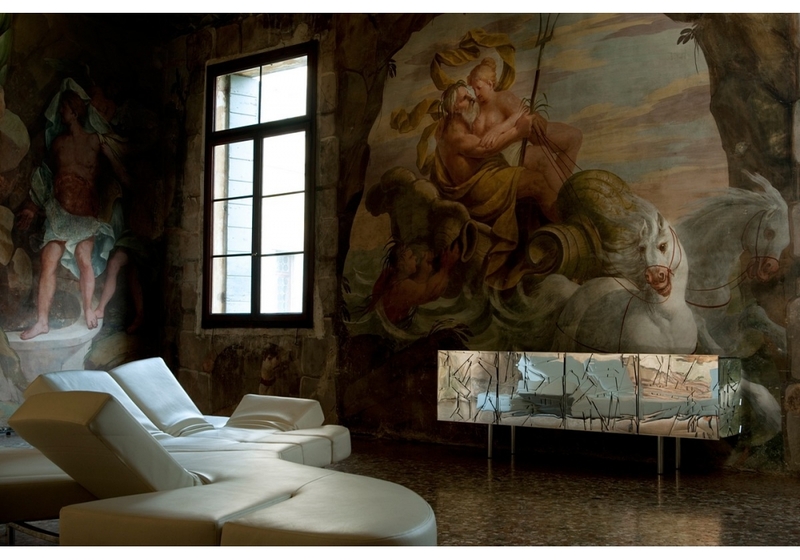 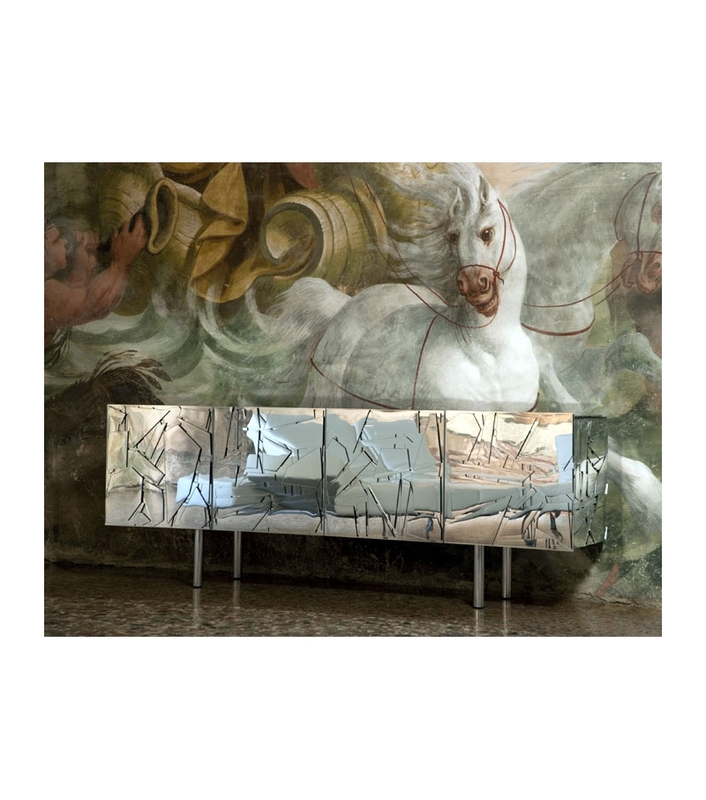 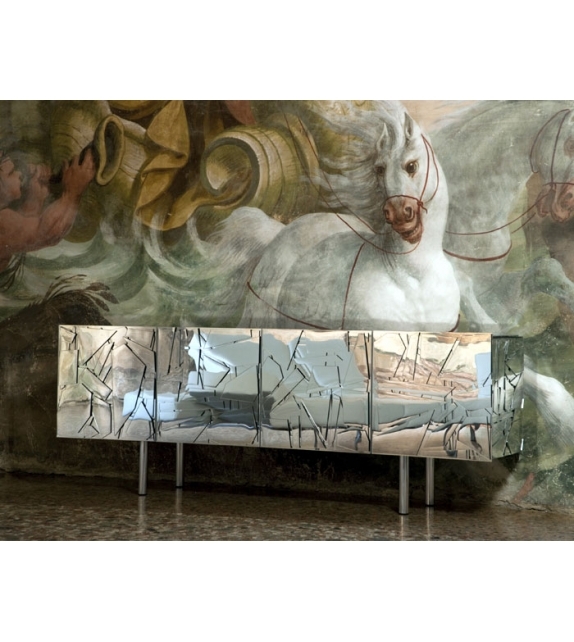 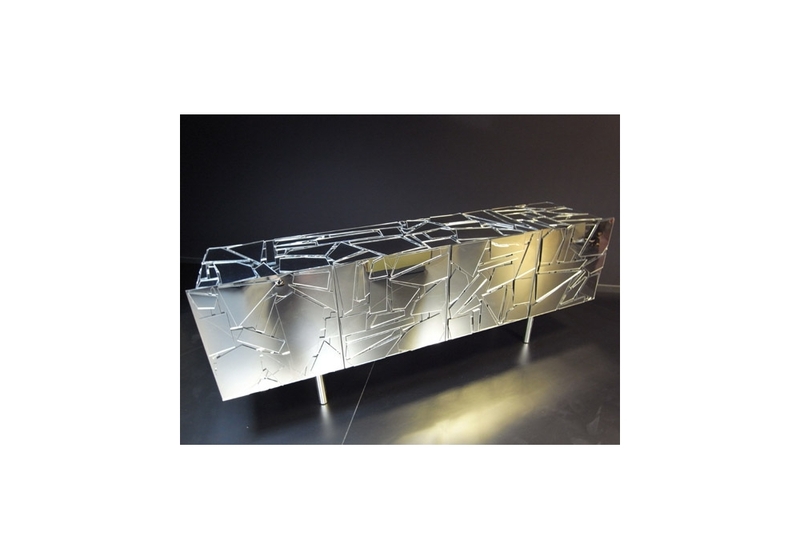 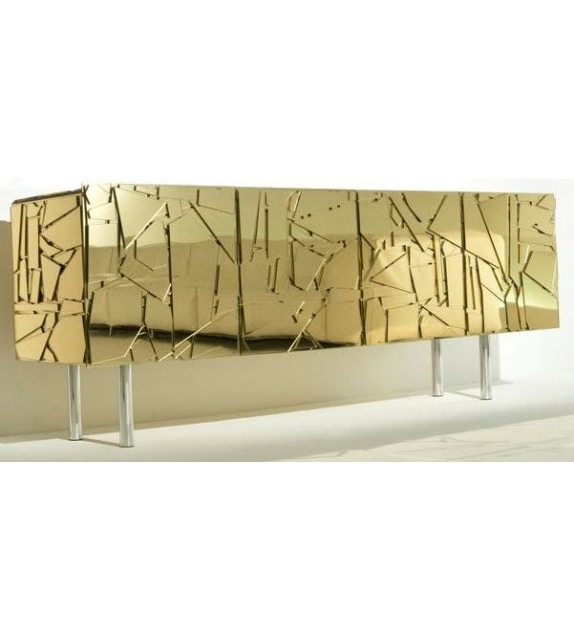 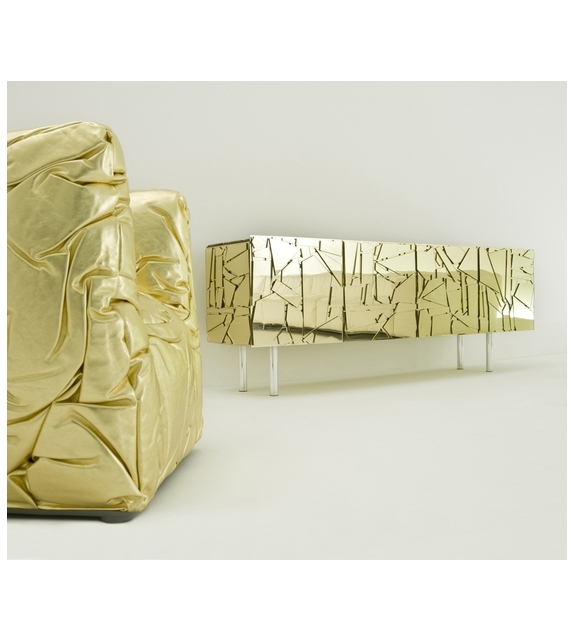 The frame is colour coordinated in a special metallic paint formulated especially and exclusively for Edra.